When lawn exploded this summer one wondered what the lawn kings, those textile magnates with a legacy draped in decades of fabric, would do next. And sure enough, they expanded horizontally to become one-stop shop departmental stores for all your draping needs. In Lahore, Gul Ahmed seemed to be ruling the roost in this department (although places like the Galleria Gultex, Chen One and Nishat Linen also do exist) catering to the middle class, but with Al Karam’s price points of Rs250 for a funky medium sized cushion cover, competition will grow to epic proportions this year. “I don’t think we as individuals can make this,” said fashion designer Sara Shahid who was wowed by the price points of the home textiles. 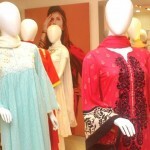 “It’s a great option that is desperately needed for Lahore: a ready-to-wear store for the home, so to speak. Styling is a lot of work and at the price that Al Karam is offering, it is impossible to produce even a single cushion in the ranges of Rs250 to Rs600,” added Shahid. The three-tiered store christened the Al Karam Studio in Lahore’s Main Boulevard is a huge plus as is the beautifully laid out store that is chic and comfortable in the same vein with a great emphasis on quality of fabrics (fabulous jacquard in a range of prints and block colours that will instantly brighten up any space). 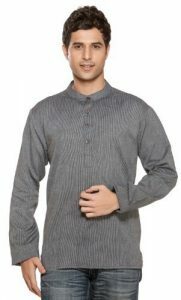 There is a wide collection of kurtas for men, which ingeniously can be used for women as well (especially the art crowd which loves giving up a masculine air to their attire), children’s clothing, bed linens and a range of single, two, three and even four piece suits (also providing sleeves with the sleeveless designs) for women, which caters to the whole spectrum of the female market from the young and hip corporates to the conservative professionals to mature women. And in the fashion show, held at the store’s inauguration, there was both volume and structure, short and long kameezes and kurtas, churidar and pants, as if to say, for whatever your dress preferences are, Al Karam Studio will indulge you. “The purpose of the store is to display the breadth of the Al Karam product range,” said Al Karam CEO Abid Umer at the launch. 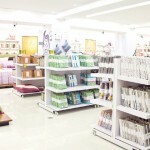 “We wanted to showcase ourselves as a complete lifestyle brand and for our patrons to get the whole brand experience when they shop here.” Unlike the Firdous concept store that is also producing in house accessories, Al Karam has ties internationally to the brand Lifestyle, Adore, Splash and Babyshop. “We’ve worked with the likes of Calvin Klein and Tommy Hilfiger, producing home linen for them. It’s a two-way stream for us: bringing in western products along with our own eastern range,” added Umer, also revealing that they will soon be launching the popular street wear brand Mango in Pakistan.